* The below only shows written interviews. Check out tons of video interviews here. 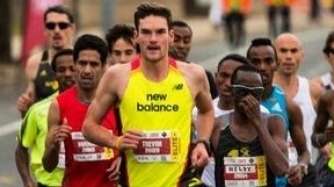 Trevor Hofbauer of Calgary is currently one of Canada's fastest half-marathon runners, having raced the Philadelphia Half Marathon in the time of 64:28, which is nearly a three minute personal best.